For those of you who stayed tuned since my last post, I’ve revisited the secret location of the great Pileated Woodpecker. Closely resembling the likely extinct Ivory-billed Woodpecker, but smaller with a black bill, they are most common in the southeast, but found in the northeast and across Canada. 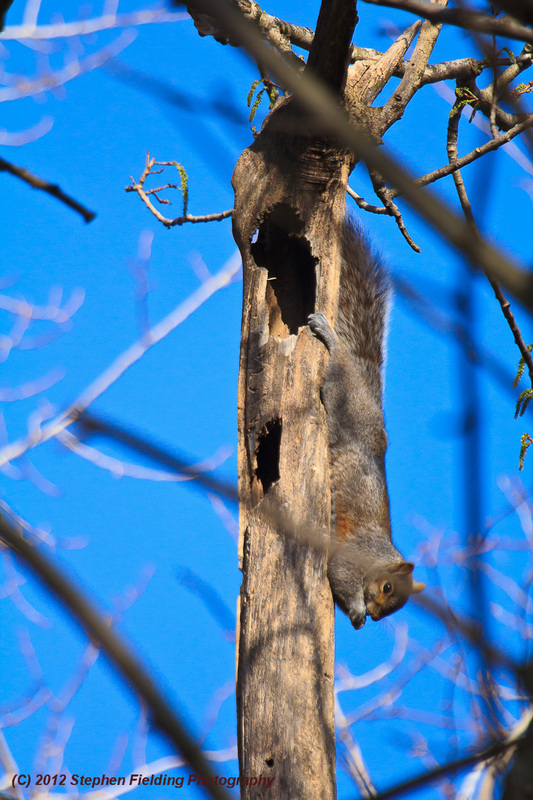 They feed mostly on carpenter ants that they find in dead trees. As you may recall, he (you can tell it’s a male because the red covers his full crown) was driven off by this guy, Bubba the Squirrel. 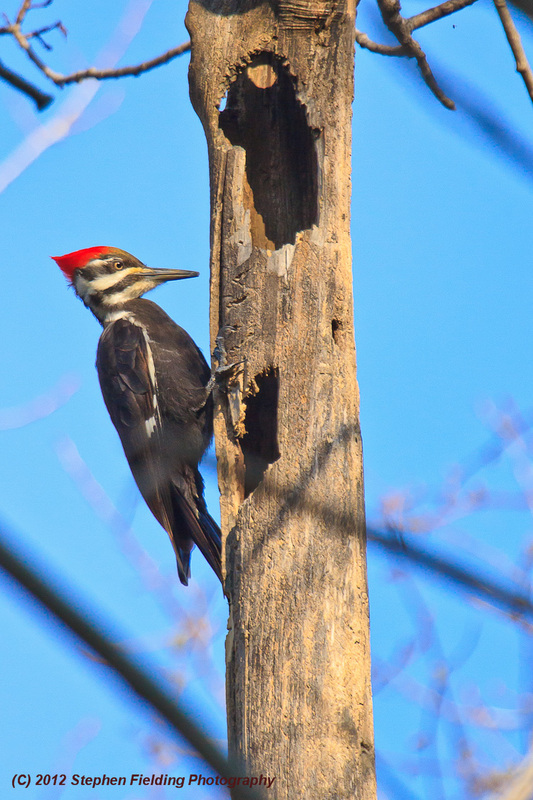 When I returned to the site on the following Friday, the Pileated was again driven off by Bubba, this time with the help of two of his friends–Bootsy and Kicksy. It seems to me that this giant woodpecker could have easily dispatch these squirrels with his powerful bill. In any event, closer examination of the tree suggested that the dead spline on which he was drilling was a source of food, rather than the beginnings of a nest. The tree’s spline did not look substantial enough to house these woodpeckers, nor did we ever see two, which you would expect in the case of nest-building. I returned a third time this past week. My wife and I were no sooner set-up that the bird landed at the same exact position on the spline! How thoughtful. This photo shoot was almost like doing studio work. I took the shots and when I was done–he flew off, this time without any hassle from Bubba and his friends. Here is the Pileated in full regalia. I told one of our Rochester birders about how easy it is to approach these birds on some occasions, and how difficult on others. He said that if they have a good feeding spot they are pretty tolerant of people. But if they are drilling as a means to establish territory during the mating and breeding season, they quickly fly off when approached, due partly to the fact that they have to get to the next point in their perimeter to announce their presence. If you have any stories to share about observing Pileateds I’d love to hear them. Bufflehead Duck, In the early 20th century shooting had reduced Bufflehead population numbers significantly, but between 1955 and 1992 surveys indicate that numbers more than doubled, despite large year-to-year fluctuations. 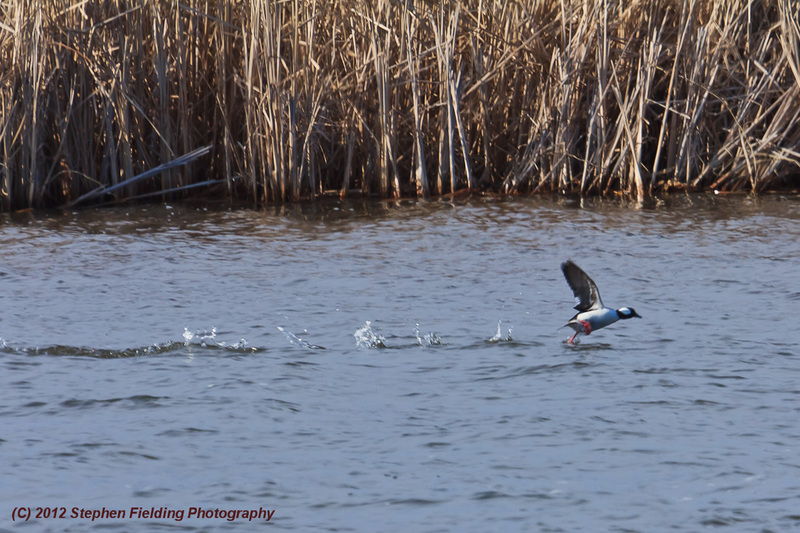 Unlike most ducks, the Bufflehead is mostly monogamous, often remaining with the same mate for several years. 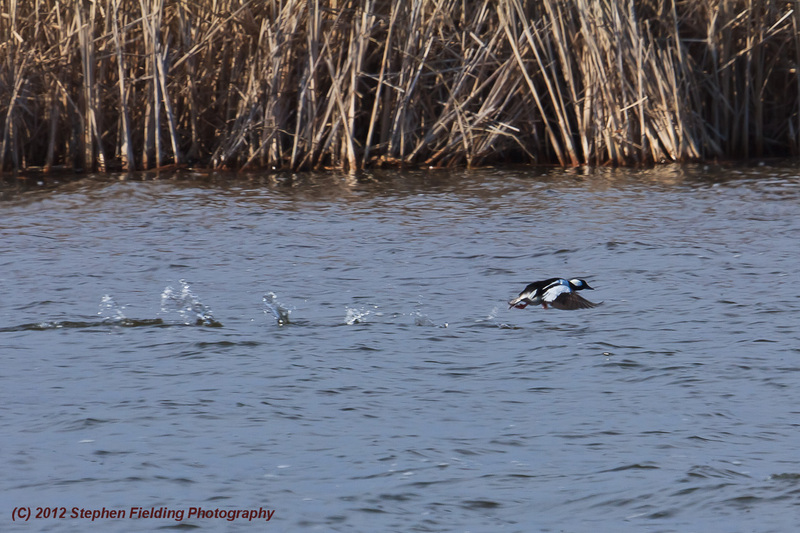 The Bufflehead lays eggs more slowly than most other ducks, commonly with intervals of two or three days between eggs. 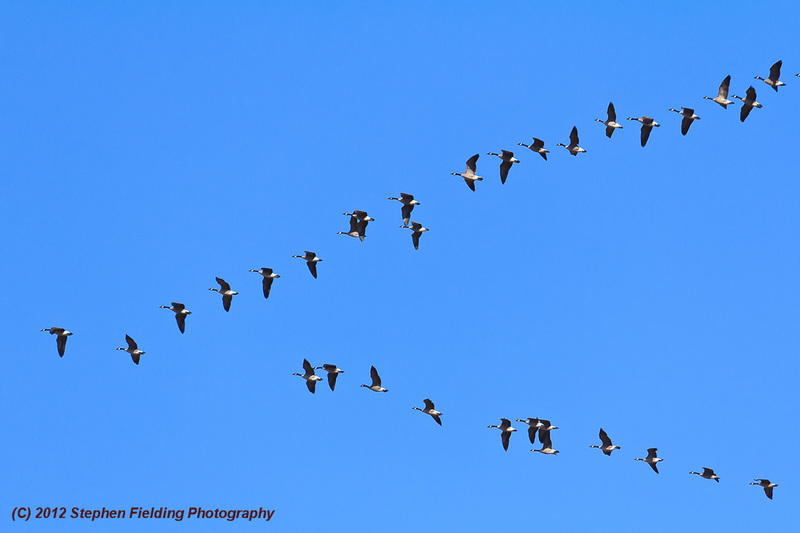 The takeoff sequence was shot at Braddock Bay, which is a major stop-over on the eastern inland migration flyway. It is located on the south shore of Lake Ontario. Upon reaching this area, most birds will continue northward by circling the Ontario shoreline in an easterly or westerly direction since there are few updrafts over the lake, resulting in the expenditure of more energy. An Index to Our Updated Species Accounts. The Cornell Lab of Ornithology is providing evermore information on birds. Check it out. Sharpen Your Skills and Help Train Merlin™. A project of the Cornell Lab of Ornithology, this site shows you a bird and asks you questions for identification. By so doing, Merlin begins to “learn” what people need to know. To build Merlin, Cornell Lab needs to know how thousands of people remember and describe birds. It seems I’ve run into a problem with the 100–400mm lens that I purchased this past June. The image in the viewfinder began jumping around when I pressed the shutter button half-way—often this would continue even after shutter release. I contacted Canon’s customer service. Based on my description of the problem they suspected the image stabilization had failed. I sent the lens to their service center and they accepted the lens under warranty. I hope to have it back in about another week. I’ll let you know how the process went, as well as how the lens works when I get it back into the field. I haven’t quite understood why Lightroom will let you use FTP to send images directly to other sites, but not their own Photoshop on-line gallery. At long last, Photoshop.com recently announced that it has a plug-in available that will do just that–all in one step. Now, instead of having to export from Lightroom, then go Photoshop.com to perform the upload, then relabel the photos as I did in Lightroom, these can all be done automatically with the Lightroom Publish Plug-in. I had the same problem getting my images from Lightroom to this blog at WordPress.com. Voila! Now there’s LR/Blog (http://www.photographers-toolbox.com/products/lrblog.php). Now I can just export from my images from the Lightroom Library to WordPress.com. In fact, I have the option to include a post at the same time. These two Plug-ins increase my production workflow significantly. At this point I’ve established my two photography web sites–at WordPress and Photoshop (and more or less understand them)–and I now have the basic equipment I need for my photography. I’ll begin posting to my blog on a weekly basis on Fridays by 5PM. Most of the topics from this point forward will focus on my field trips, and background about my subjects.